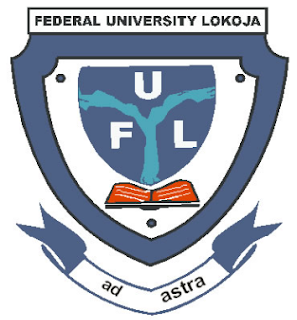 Federal University Lokoja (FULOKOJA) Matriculates 156 out of 215 Postgraduate Diploma Students During the Maiden / 1st Matriculation Ceremony for 2018/2019 Academic Session. The Management of the School of Postgraduate Studies, Federal University Lokoja (FULOKOJA) has matriculated no fewer than 156 students out of the 215 applicants offered admission to run various Postgraduate Diploma programmes during the Maiden Matriculation Ceremony which was held on 30th October, 2018. The Maiden Matriculation Ceremony and Orientation Exercise which took place on Tuesday, 30th October, 2018 at the University Auditorium, Adankolo Campus witnessed large turnout of matriculating students and well-wishers from within and outside the University. The Dean of Postgraduate Studies, Professor Patrick Amidu Audu while welcoming the matriculating students on behalf of the Board and Management of the School said, the event marked a very important milestone in the history of the University as it formally admitted the first set of Postgraduate Students since the establishment of the University by the Federal Government in 2011. He urged the pioneer students to use the time to refine their skills that would enhance their employability in line with the mission of the University which is to produce highly skillful and employable graduates. Professor Audu expressed deep appreciation to the Vice-Chancellor for her immense support and commendable efforts as well as her giant strides in establishing the School of Postgraduate Studies within a very short period of her assumption in office. In addition, the Dean urged her to continue to do her best to attain the vision of Federal University Lokoja which is to be the best among the newly established Federal universities in Nigeria in 2011 and one of the top ten raking universities in Africa. Professor Miri maintained that the University Management would work assiduously towards ensuring a conducive learning environment for the students, promising that students’ welfare will not be compromised. She also implored the matriculating students to support the University authority in keeping the environment clean which is in their best interest. The Vice-Chancellor commended the dogged efforts of the pioneer Dean of Postgraduate Studies and his team for working round the clock to make sure the event became a reality. As part of the epoch-making event, a lecture entitled: “Pathways for sustainable Postgraduate Education in Nigeria” was delivered by Professor Andrew Attah Illah from Ahmadu Bello University, Zaria. High points of the event include the taking of Oath of Allegiance and signing of Register by the matriculating students, and gift presentation to the Guest Lecturer. Among the dignitaries that graced the event was the representative of Kogi State Government, Mrs Rosemary Osikoya, Honourable Commissioner for Education, Science and Technology. Others are Principal Officers of the University, Deans of Faculties and Heads of Departments/Units/Divisions.